Shopping online can be a great experience. You get to sit in the comfort of your home or browse while sitting in a coffee shop during your leisure time. Thanks to this flexibility, people can buy all kinds of things online. With the convenience of online shopping comes significant risk that the product will not arrive as described. Some people may not be aware of how to be a smart online shopper, so they can get scammed. 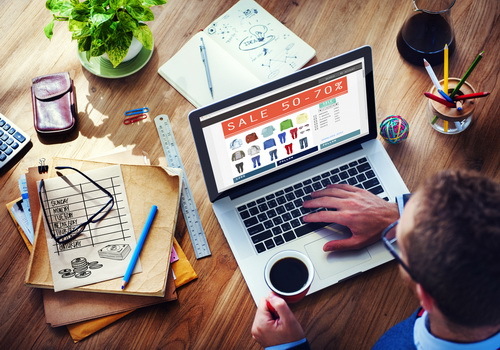 Here are a few things you can do to make sure your experience shopping online is a good one. Warranties are really important for several types of goods. Home appliances, kitchen gadgets, and computers are a few of the things you can buy online these days. Some great deals are available on both brand name sites and off market sites. For items like these, which can be higher priced, there is a higher risk that the item will break within a short time if you buy it online, since you can't inspect it. What can you do to ensure that you get what you are buying, and not an aftermarket item? Buy from a reputable dealer who provides a warranty. Warranties are available for both new and used goods on many sites these days. How can you know if the dealer and product are fairly represented online? Check out their reviews. Even very good dealers occasionally get bad reviews, so don't be put off if everything isn't roses. But if you see no reviews and no way to leave feedback, or if the reviews all seem like they are five stars and gushing compliments with no medium reviews, then be warned. The product may not be sold as advertised. Smart online shopping can score you great deals. Don't always go for the cheapest item price as it may not include a warranty, but do shop around. Check and make sure that the lowest price doesn't come with a super long shipping time, and that it includes all the pieces. Items are sometimes sold online with a lot of image retouching. If you don't check for very good photographs, you might buy something that is tiny or colored wrong. You can do this by getting images with coins or rulers in the photograph on request. This lets you compare prices of similar sized items, and makes sure you aren't comparing prices in two different size or warranty categories. Another thing a smart shopper can do to compare prices is check the materials of the item. Two items could be identical, except made of different materials. In this case the items are actually of varying quality levels. Budgets can free your money up to go where it really needs to. It's easy to pack an online shopping cart to the brim, especially when that one item seems to be calling your name. But the budget is your friend. You won't really enjoy multiple packages of unwanted items in your living room, and it can be hard to be sure of what you really want if you shop on a spree. Try getting coupons, redeeming club points, and putting that shopping cart away long enough to finish your coffee to keep the budget in check. Shop around between high and low end brands for discounts. Even Lord & Taylor sometimes has coupons on Groupon, or you can wait for a sale. There are a few things you can do to ensure that you didn't land on a site that exists to steal credit card information. Keep your computer virus software up to date, and shop with reputable apps. Always use a site with a valid SSL certificate, and make sure your internet connection is secure. These things ensure that people can't just grab your credit card info at random. If you stick to these few tips, you will have more success in your quest to be the smartest internet shopper you can be. Make sure to check out a few charities to do good for your soul as you shop, and always remember to compare items before making a final sale deal. Many items are advertised falsely online, so keep your eyes peeled and double check.